As important as having a healthy body, it’s to have a healthy mind. Learn how to hack your lifestyle for mindfulness with exercise. To experience optimal health, it’s necessary to take care of yourself as a whole. Many practices focus on one or two aspects of the being, neglecting or ignoring the others. Such approaches disconnect us from whom we truly are, our essence and Personal Power. Because everything is connected, Body, Mind, and Spirit have to work together so that you can achieve your best shape ever, in and out. On the previous blog of this series, we analyzed simple ways you can use to improve your nutrition. I didn’t throw any radical changes on you. I shared only 3 easy steps you can start implementing today to achieve live healthier. On my last blog on weight loss, I connected the importance of your intake with weight management. Again, no starvation diet or crazy meal plans. Just substitution tips to support your efforts. Today, we’ll see training from another perspective. 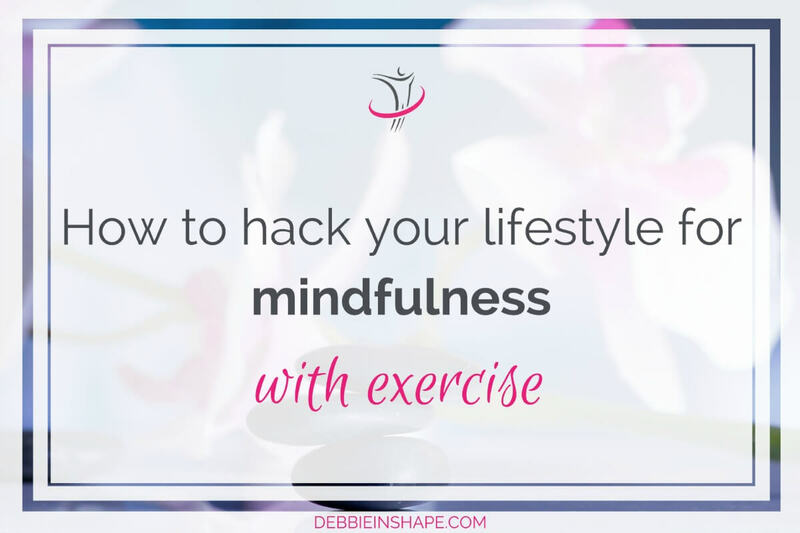 Have you ever thought about hacking your lifestyle for mindfulness with exercise? Let’s face it. When you go to a gym these days, it doesn’t look like you are in a place to work out. All those TV sets may feel like a cool addition at first, but the truth is, they take away our attention. I’m not saying that you are doing something wrong if you enjoy watching a show while on the cardio machine. Are you paying attention to how the exercise makes you feel? Are you moving with good posture? Something similar happens when the fitness room is used for socialization. Not everyone has to be a beast all the time. Sincerely, I’m not one myself even though I’m extremely selective with my interactions. The risk is when chatting comes at the wrong moments. Note that it has nothing to do with how heavy you are going regarding weights lifted. I’m sure you know that to be effective, your training should be challenging. However, when it’s challenging, the chances of getting hurt increase. No, you shouldn’t go for weights lighter than your bag or your kids. What you have to do is be attentive, mindful. We’re all so busy all the time. Life is more tiring now than 50 years ago. And you make it much more tiring if instead of being where you are, your thoughts are somewhere else. Since thoughts are energy, you’re unnecessarily dispersing when you should be concentrating them. To understand better how it works, picture a dish. You made this dish enough to feed one person. But let’s say that a second one stops by. You can try to feed both with what you have, but you know it won’t be enough. They’ll eat it, yet, they’ll be hungry. Another solution would be cooking more, but for that, you need ingredients. You have some of them, just not to double the portion. In this case, you’ll use up your reserves without being able to please the visitors. 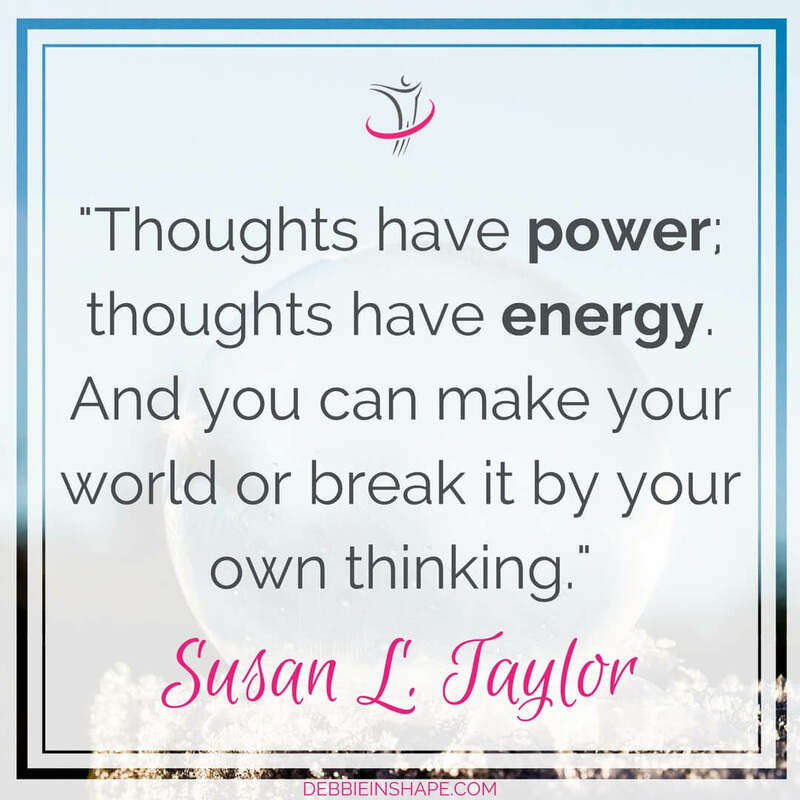 That’s what happens with your Personal Power when you’re not mindful. If you share what you have, none of the thoughts will get full attention. And if you try to use every single energy drop that you have, you may be damaging your health. Being at the gym, working out, thinking about everything you have to do afterwards, chatting and watching TV all at the same time is too much! I know that some people do enjoy the social aspect of exercising. For them, it acts mainly as a source of motivation, inspiration and accountability. If that’s your thing, please don’t think I am suggesting you should become a loner. That’s absolutely not my intention. But be aware of the moments when socialization is getting “in the way”. Is your form messed up? Do you feel more energized? What you may realize is that, depending on the interaction, you may feel different. Some people will help you feel pumped up while others will steal your last drop of sparkle. You can get different reactions depending on the time of the day or day of the week, for example. And us women shouldn’t ignore our hormonal levels either. This observation acts like a thermometer. Instead of forcing yourself too much when you’re already beaten, you can take it easy for the day. But you’ll only realize it when you’re exercising mindfully. Otherwise, you can mix it up with a lazy day, and that’s not the same. Listen to your body. I know there are those guys who do a couple of reps with heavy weights and spend more time looking into their pumped muscles than training. No, it’s not productive, and the effects go away fast. The relationship I want you to develop with yourself is not of narcissism, but of partnership. Don’t be afraid of looking at yourself, seeing your progress and your looks. With time, you’ll develop proprioception, and you’ll be able to correct yourself without assistance. For now, take a look at your posture and how you perform the exercises. It’s not vanity; it’s self-teaching. I always have my good and old iPod with me when I go to the gym, but I don’t always use it. It all depends on how much noise there’s around and my energy level. Chit-chat annoys me when I’m training. I like to greet people, but don’t expect me to talk about my latest adventures in between sets. I’m lucky to know others who are like me where I train. But when I see too much chaos around me, I put the music loud on and headbang shamelessly. I have different soundtracks for different physical activities and moods. Recently, I went running listening to A-ha. Try something different from what you’re accustomed to and see you feel. At least during the time you’re jogging, doing cardio or lifting weights, forget about the to-dos in your calendar. I can guarantee you they will not vanish if you do that. Even if that’s what you wish. To be able to take full advantage of your fitness enrollment, the hired Personal Trainer, and your workout, you have to be there: body, mind, and spirit. If you are also planning dinner, wondering what will be on TV tonight or thinking of all the calls you have to do, you’ll be exhausted mid-way. Take a deep breath and make an effort to focus on the activity you are performing. Once you leave the gym or the track, you’ll take care of other business. But that’s for later. And that goes for those who exercises at home, as well. 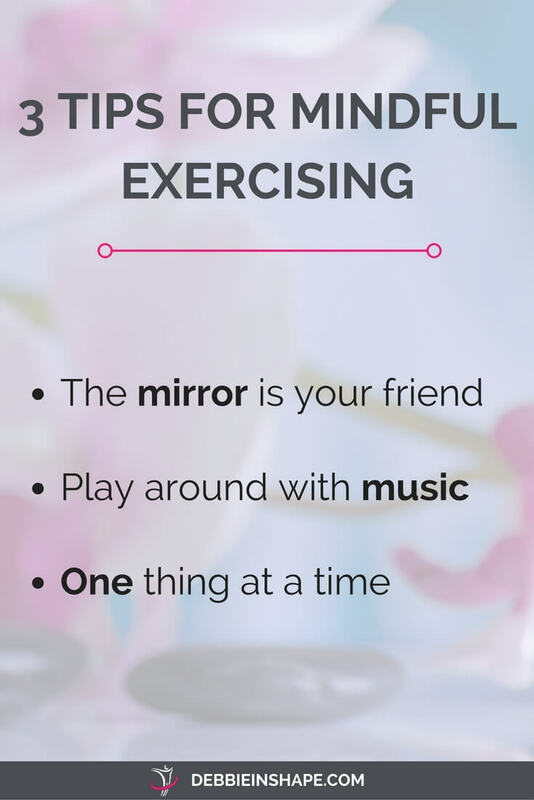 Think of opportunities in which you can be hack your lifestyle for mindfulness with exercise. I focus in exercising, but the same applies for any hobby you have, household tasks or walking on the streets, for example. Let your thoughts be where your body is and follow your activities. I’m convinced you’ll feel the benefits very soon. Multitasking is not productive. In fact, it can hurt your brain. Therefore, for the sake of your optimal health and well-being, exercise mindfully. 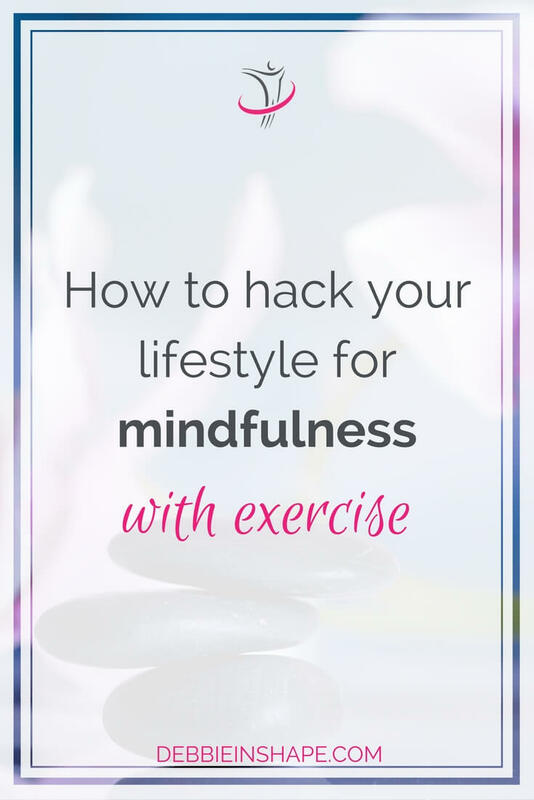 Have you already tried to hack your lifestyle for mindfulness with exercise?